It has been over three weeks since I posted. Since mid-October my life has been swallowed up, by both work as well as sickness that I can’t seem to shake. When you feel overwhelmed, or at least when I do, writing a post and an update is the last thing on my mind. So I have been turning my attention to Facebook for short snippets and updates, and I’ve been trying to keep posting photos of my everyday life over on Instagram. If you haven’t found me at either location, feel free to pop around and add me. I still haven’t quite gotten the hang of using my blog page on Facebook, so the link above goes to my personal page. If you have any tips on if or how I should channel energy into building my blog page up, please let me know! Anyway, an update! There’s news of course and not much new. I’ve recently met up with a few “old friends” after many years of not seeing each other, and I have to admit, I kind of felt like not much is “new” in my life. I just keep on keeping on, which to me doesn’t seem new or fresh, but to others who haven’t seen me in a while, it is. A lesson: your own perspective may be very different from those around you – so never undervalue what you are doing! This past week I managed just 30 minutes of exercise. Yes, just 30 whole minutes. This is unheard of from me. 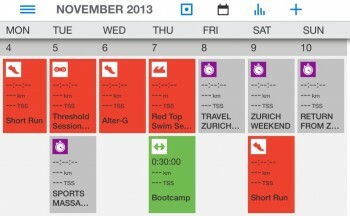 In September I logged a few weeks of next to no training (including one 30 minute week)—but that was different. I needed time off and a break to recovery from a long stretch of structured training. But now? I *have* motivation. But I think that life has overwhelmed me. I spent from mid-October to now battling a cold. I am sure the cold was triggered by the change of seasons. But it is also an outcome of a lot of work stress. I have been manically busy at work. Since mid-October I have: been on a training course to France for a week, had a week in London which can only be described as the busiest working week I have had in YEARS, I spent a week in Seoul and Tokyo, then another crazy stressful week of work in London, and finally a girls’ weekend in Zurich. Insane. I just haven’t been able to shake this cold – it has been hanging around for 4 weeks now. So last week, I relented. I decided to just back off exercise fully, to give myself a break. I really want to feel healthy again. So I did NOTHING (well, okay, I did 30 minutes of training). I finally feel as if I may be turning the corner, with only a few lingering signs of sickness – an occassional cough, a lingering tickle in my throat. I decided this morning that I would once again religiously use my asthma inhaler until the symptoms fully cleared. Enough is enough. On my Twitter feed I got a comment that I sure do travel a lot. I do. I wondered if perhaps my girls’ weekend to Zurich was a step too far – one bit of travel that might derail the road back to health, delay my ability to kick this cold. But I think that it actually was just what I needed. I more or less checked out of social media and spent the weekend away from home focused on the moment – with friends, catching up, and laughing a lot. I probably did not get enough sleep – but my soul feels recharged. I am ready to embrace autumn. The change of seasons is my chance to start again, to rebuild and renew myself, to get healthy and recommit to a balanced lifestyle. It’s amazing what you can learn with only 30 minutes.